How is flyblackbird.com operating under Part 91K? The website states they're not a Part 380. Love their service -- how will they avoid the same fate as Flytenow? Long story short, Blackbird appears to be set up so that the customer leases an aircraft and separately hires a pilot to fly it. That makes it a 'straight' part 91 operation. Pilot understands that passenger (lessee) renting the aircraft and hiring the pilot accept and maintain operational control of the flight; these operational duties may be delegated to the pilot in command. In other words, the passenger rents an aircraft from an owner and then separately hires a pilot to fly it, according to the passenger's instructions. Blackbird is saying that they only provide a marketplace, and the customers actually lease and operate the aircraft themselves. The Platform provides a marketplace that enables users to (a) connect with and lease aircraft from third parties that own, lease, or otherwise control aircraft (“Aircraft Owners”) and to find and hire flight crews (“Flight Crews”), or (b) join flights with third-party operators or other BlackBird users on the Platform (“Third-Party Operators”). Because the owner just rents out the aircraft without a pilot, they aren't operating an air carrier. Because the pilot doesn't provide the aircraft, they aren't holding out. That means the only pilot qualification needed is a commercial certificate, although Blackbird also requires 500hrs, an instrument rating and a background check. Now, whether or not that business model will survive if the FAA gets interested in it is another question. There was some discussion on the AOPA forums (members only) a while ago about Blackbird and I think the consensus came down to "technically legal, but pushing their luck with the FAA and DOT". A semi-useful comparison here might be Uber. They've always claimed that they aren't a transportation company but rather a marketplace that just connects independent drivers with customers. That argument has succeeded in some places but not in others, and many countries and cities have decided that Uber is a transportation company and started regulating them. I have no idea whether or not that will happen with Blackbird. Not the answer you're looking for? 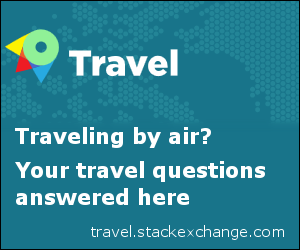 Browse other questions tagged faa-regulations or ask your own question. Is Part 91 Instrument currency for SIC similar to Part 135 requirements? Is a civilian pilot allowed to fly under part 91 rules with Night Vision Goggles? Is there a list of part 121 and/or 135 operators? Is it legal to give flight instruction in my own airplane without 100 hour inspection if doing it for no charge? What are “approved weather reporting services” and do they apply to part 91? How many aircraft and pilots can a part 135 cover? Is data approval by DER/DAR still required under new FAR part 23? Where can I find the regulations on the minimum stall speed for a GA aircraft? Under FAR Part 121, is it mandatory to execute a missed approach when unable to land within the touchdown zone?